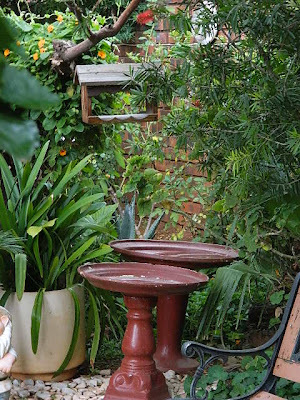 Mom's neighbours garden, just a little spot to sit and watch the birds come for a drink and a feed. 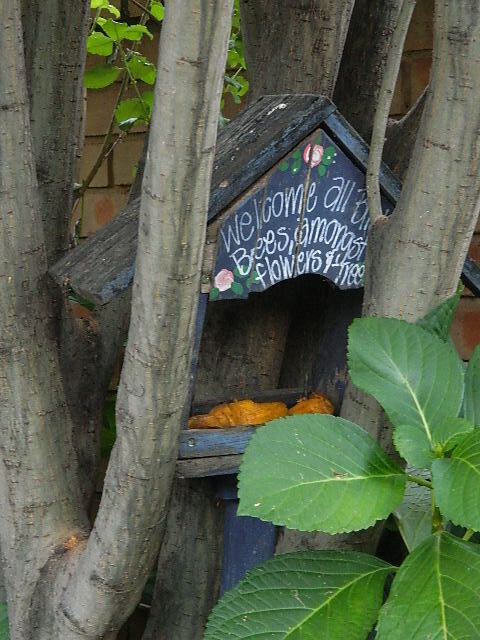 Wonder who comes visiting for a little feed here? 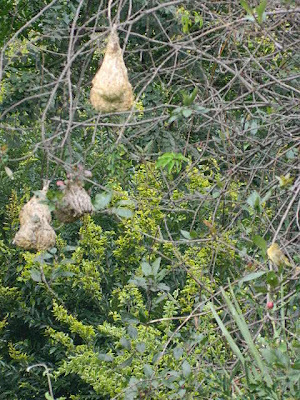 See that yellow speck on the rightside, that the little female bird. Might have to google more info on these pretty little critters. 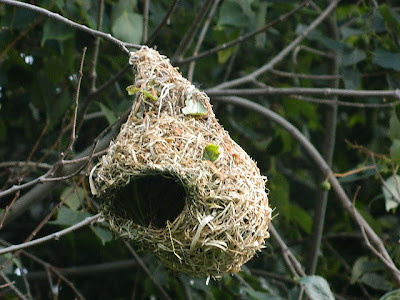 Oh those look like weavers nests - my mom always complains that they strip the tree of leaves around their nests so that they can see predators. It looks as though the same thing has happened here. Glad you are home & your Mom is better. 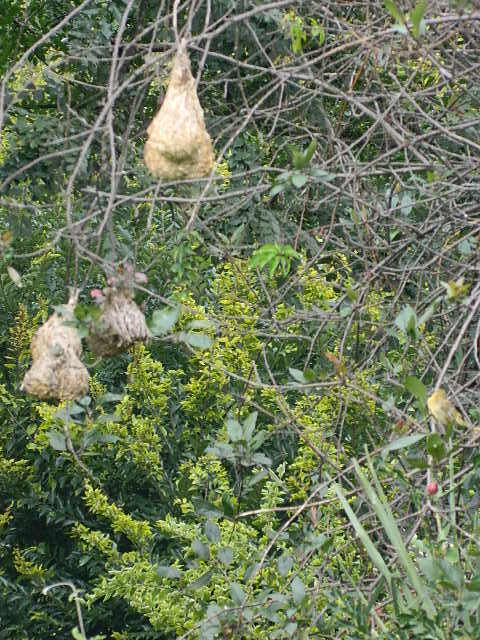 The weavers are my favourites in my garden. 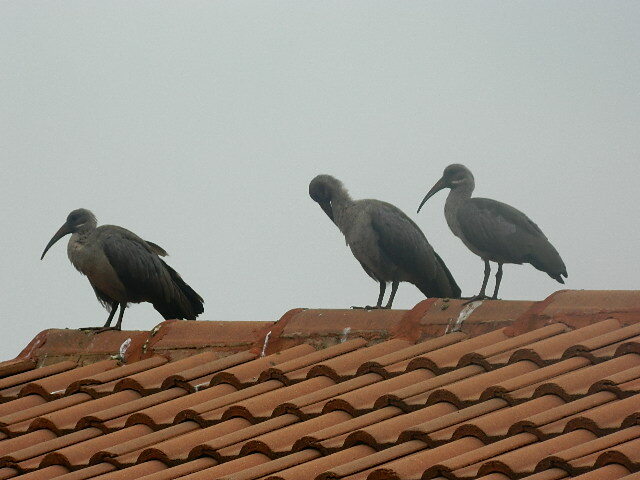 Had to chuckle at the haadedas on the roof - they love perching up there. I read about your experiences with a SA government hospital, I must tell you not all are like that but a good many are - its very sad because the funds "disappear". I volunteer at an old age home for pensioners & our ladies go to the local government hospital & are treated superbly, even to hip replacements done for free. Still there are those who do an incredible amount of good & I try to focus on the good not bad because its too easy to slip into a negative rut.